This holiday season, use Blurb to make a small book for each of those relatives or good friends you want to say thank you to. Create your books now and give yourself more time to shop for Thanksgiving dinner! Kind of a do and forget it thing! 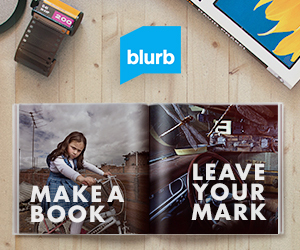 Blurb makes book making simple and easy. From now until 9/9, Blurb is offering 15% off with the code: TAKE15!! Take advantage of these savings before it’s gone and make a lasting memory! !